Only 2 1.4 TSI Comfortline Auto models left in stock! Only $89 Weekly with $0 Down Payment! 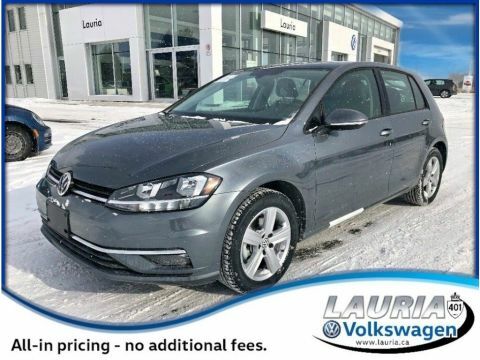 Standard Features on the 2019 Golf Comfortline include: 1.4 TSI engine with 147HP,6spd manual or 7spd Automatic transmission with Tiptronic,Bluetooth and App Connect inc. Apple Carplay & Android Auto,6.5” touchscreen audio,vehicle immobilizer,rear view camera,LED tail lights,heated washer nozzles,15” alloys,air conditioning,heated seats and much more! Choose the Highline trim to add: 8” touchscreen audio with 6 speakers,satellite radio,dual climate control,rain sensing wipers,keyless access with push button start,satellite radio,fog lights,blind spot detection with rear cross traffic alert,panoramic power sunroof,leatherette seats,16” alloy wheels,and much more! Choose the Execline trim to add features such as: 17” alloys,leather interior,sport seating,ventilated front seats,power memory driver seat,remote start,Navigation,Fender Audio 8-speaker system with subwoofer,LED headlights,and much more! All-in pricing – prices include everything but taxes and licensing. 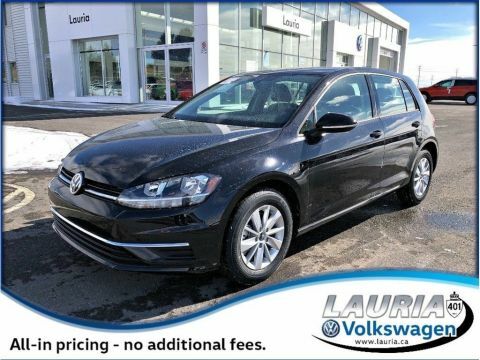 Port Hope’s Lauria Volkswagen is a family-run dealership serving Cobourg,Northumberland,and the entire Central Ontario region. 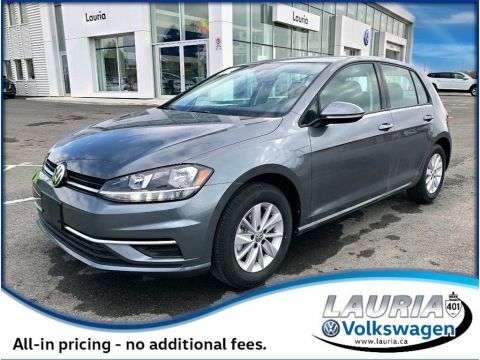 Lauria VW is proud to combine our no-pressure,customer first philosophy with the fun and exciting vehicles you have come to expect from Volkswagen. Come visit our brand new,state of the art facility to see for yourself! The Lauria Auto Group,committed to total customer satisfaction since 1984. Welcome to the Family.